Sold by hiro shop and Fulfilled by Amazon. Gift-wrap available. 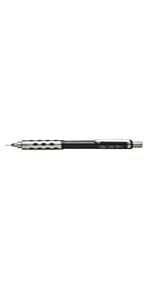 We are the UK operation of Pentel Co. Ltd., a privately owned, Japanese company, which has been producing some of the world’s favourite writing instruments for over half a century. 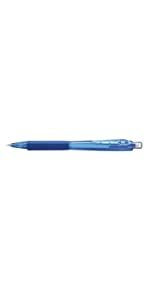 From our offices in Swindon, Wiltshire, we distribute a wide range of pens, pencils, correction products, markers and art materials to customers throughout the United Kingdom and Ireland. 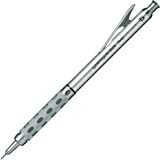 Fine lead mechanical pencil technology has been a Pentel speciality for over 50 years. 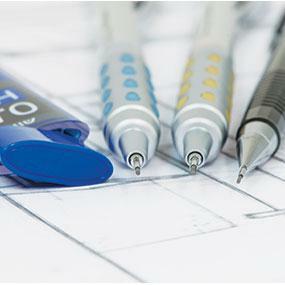 Our wide range of products offers an exceptional choice of pencils for professional, commercial and domestic use. 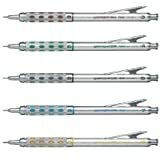 The range is complemented by Pentel refill leads, which are stronger and longer-lasting than ordinary leads. 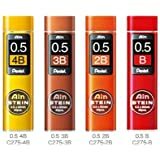 Our new Ain Stein range is our strongest ever refill lead, with ultimate resistance to breakage and superb density of colour. 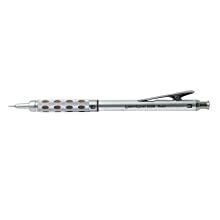 Quality mechanical pencil with brushed steel barrel. Rubber grip 'Pips' for added comfort and control. Sliding sleeve to advance and retract lead. Pocket clip sleeve retraction system. Supplied with 3 Super Hi-Polymer HB refill leads. 0.3mm lead with Brown pips on grip. 0.5mm lead with Black pips on grip. 0.7mm lead with Blue pips on grip. 0.9mm lead with yellow pips on grip. Great set. Could have included a carry pouch to make product more easy to use. 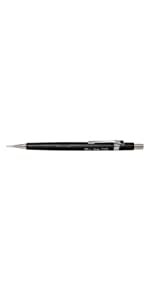 I enjoy sketching and painting, and I'm always on the lookout for new tools to help me work. As of late I’ve been going back through some of my art supply purchased over the years and reviewing the ones that stood out in order to hopefully help other artists make informed purchases. - It has a comfortable, chiseled metallic grip inlaid with soft latex-free pads provides writing comfort. These pads are different colors depending on the lead size you choose (brown for .3 mm, grey for .5 mm, blue for .7 mm, and yellow for .9 mm), making it easy to identify which size of lead you're using. - The dual-action retractor advances and retracts tip for easy use. This means that you're able to retract the tip when you're storing it, which helps prevent damage to the tip as well as accidental damage (read: holes) in whatever you're storing it in. - The lead and eraser are refillable. 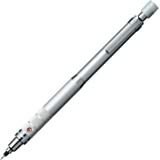 - The barrel has a rotating window that allows you to identify the type of lead you've placed in it (2B, HB, etc. 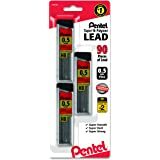 ), so if you have multiples of these pencils, it's easy at a glance to identify what type of lead is in each without having to test them. 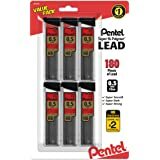 Between this and the color-coding for the lead type, it makes it incredibly easy to keep on creating rather than having to take breaks to remember where you put a certain lead size or hardness or softness of lead. It also means that if you have multiples, you can have a variety of them handy, rather than having to regularly swap out lead. - They are extremely well weighted. - I rarely experience breakage. 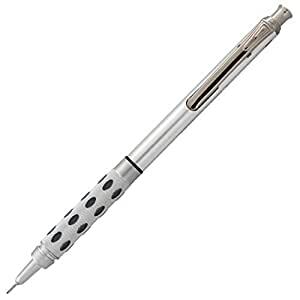 That said, these are by far my favorite mechanical pencils, and they are something I regularly use at home and while on the go. 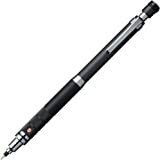 I would highly recommend them to any artist or draftsmen who is interested in adding a solid and long-lasting mechanical pencil to their creative arsenal. I am a longtime Amazon Prime customer who enjoys writing reviews in my free time. If you have any questions or comments about this product or my review, feel free to message me and I'll be glad to help! 308 people found this helpful. 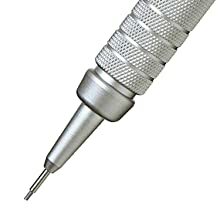 I purchased two of these Pentel Graph Gear 1000 (PG1019G) in 0.9mm because I used the Pentel Kerry in 0.5 and 0.7 mm for 25 years with no problems. I liked the 0.9 mm so much I bought a third one in 2014. The first one failed in April of 2015. The main structural member turns out to be a plastic tube and it is threaded to mate with the conical metal nose piece. The plastic tube sheared at this threaded joint. I replaced this one and hoped the others would last. The second one (probably the one I bought second so it would be four years old) failed at exactly the same place. The choice of a plastic tube instead of a metal one saved them a few pennies but lost me as a 30 plus year customer. 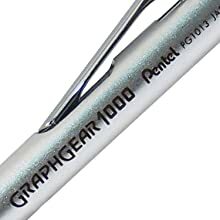 My older Pentel Kerry models (which I would have bought in a second if they made it in 0.9 mm) lasted me 20 plus years of much harder use than these Graph Gear 1000 models. 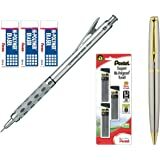 I buy a quality pencil not just because it lasts longer, for the pleasure of using a well engineered tool every day. These are no better than the $1.19 ones I can buy in bulk.. I am going to try to find an all metal one that might last 20 plus years versus 2 to 4. 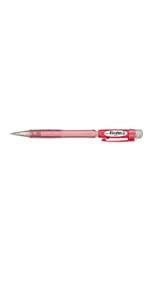 But it won't be a Pentel. I am happy to spend 2 to 3 times for a quality pencil. It was a mistake to save 40 cents and ruin the design by substituting a plastic sleeve for a a metal one for the main structural piece. Edward Deming would not approve. 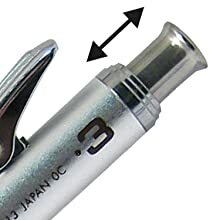 I wish Pentel sold replacement plastic sleeves, I think there would be a market for them just keeping their Graph Gears running. For what it is worth, mine were yellow sleeves, I don't know it all of their colored plastics have the same mechanical properties, perhaps yellow is a weaker plastic or perhaps it ages faster. Should have used aluminum. 118 people found this helpful. If you would’ve told me a few months ago that I would be writing this review, I probably would’ve become very depressed, knowing what a sad future laid ahead of me, with nothing better to do than to write a review for a mechanical pencil. But alas, here I am, not writing out of a lack of other potential activities, but out of a sheer responsibility to let you know how great this pencil is. Over the last 6 months I’ve been rehabbing an old house we bought, and have drawn up a seemingly endless number of blueprints and building plans. I bought a Moleskin squared notebook to start (worth every penny), and eventually got tired of the sloppiness that came with a regular old #2 pencil. 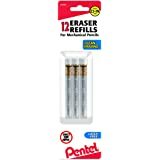 I finally put my foot down and told my wife “Honey, I’m buying a $13 pencil!” to which she responded with almost no emotion. I pulled the trigger and eagerly awaited my new writing device. I couldn’t possibly be happier with it. 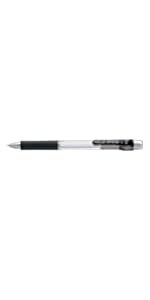 It writes perfectly, draws crisp, clean lines, and is so well made you feel like a damn astronaut when you use it. 10/10, would use in outer space. 198 people found this helpful.